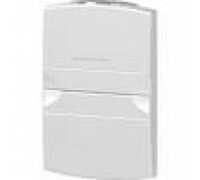 Cell phone signal booster is to take an existing cell signal, typically found outside your home, office or vehicle, amplify the signal and then broadcast it to an area which has weak or no signal. A cell phone signal booster system consists of an external antenna, a signal boosting amplifier and an internal antenna, with cable connecting all of the components. In some cases, like the Spotcell booster, the amplifier and internal antenna are one unit, but most of the time the three components are separate. Cell phone signal boosters are designed to take an existing signal, amplify it, and broadcast to a space that is receiving weak or no signal. In order for the system to work, there must be an existing, stable signal to receive and amplify. 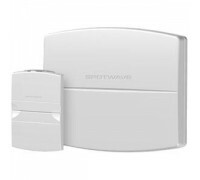 Cell phone signal boosters are not able to create signal, they only amplify and transmit cell phone signal, so if you are not able to place an external antenna in a location that has a stable signal, then a cell phone signal booster will not work for you. UberSignal organizes cell phone signal booster kits by the square footage that they are able to cover in ideal circumstances. An ideal circumstance is defined as having a very strong signal for the external antenna, the internal antenna is placed in the best location possible, and there are no major obstacles to prevent the signal from being transmitted to the entire space that needs coverage. 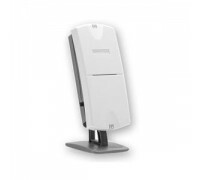 Unfortunately, most situations are not ideal, so it's often necessary to choose a more powerful signal booster kit to compensate for a weak outside signal or inside obstacles that inhibit cell phone signal. If you feel like you have a unique coverage situation, please contact us to discuss and we can help you identify the right solution for your situation. The strength of the cell phone signal where you plan to mount the external antenna directly determines how large of an area you're able to cover inside of your home, office, or vehicle. If you have a strong external signal, you'll be able to cover an area similar in size to the advertised coverage area of the signal booster. If you have a weak external signal, the inside coverage area will be much smaller than advertised, which may require that you move up to a stronger system to obtain adequate coverage. Always keep this in mind when looking at the published square footage that is listed for each signal booster. Understanding what the bars mean on your phone is also important to gauging how strong the signal is where you're going to be placing the external antenna. While there's no official standard for displaying cell phone signal with bars on a phone, and some phones have more or less than the traditional five bars, the rule of thumb still exists that each bar of signal is roughly 5 to 10 times the power of the previous bar. This is why it's important for people with low signal strength, such as one or two bars, to consider a stronger cell phone signal booster than what is recommended for their coverage area. If you'd like to gauge the actual signal strength of your outside signal, then you can put your phone into field test mode, which will display the actual decibel reading of the current signal. There are two different types of external antennas that you'll encounter when deciding on a cell phone signal booster, omni-directional and yagi (directional). Omni-directional antennas are designed to send and receive signal in all directions, so you're able to reach multiple cell phone towers at the same time and boost cell phone signal for multiple providers. If you have a moderate to strong signal in the area that you're going to be placing your external antenna, then an omni antenna is good for you. Yagi antennas are designed to send and receive signal in a specific direction, so while you're not able to cover a broad area, you're able to reach significantly greater distance to cell phone towers that you would not be able to with an omni antenna. If you're going to be placing your external antenna in an area which has weak signal, and you only have one cell provider that you're looking to boost the signal for, then a yagi antenna is right for you. Amplifiers are rated in decibels (dBs), which is a way of measuring how powerful they are. Decibels are a logarithmic measurement, which means that for every 3 decibel increase, the amplifier actually doubles in strength (which also means for every 3 dB decrease, it is half as strong). If you're amplifying a weak signal and want to be sure that you'll cover the full area, choosing a stronger amplifier can be the solution. There are two different types of inside antennas to choose from when selecting the components for your signal booster system: dome and panel antennas. Panel antennas are designed to broadcast and receive signal in one specific direction, and are best suited for either long, rectangular spaces or multiple floors in a house or building. They can be mounted on the wall facing down a space or mounted facing downwards at the top of a space and broadcast down and out through multiple floors. Dome antennas are designed to cover one floor with signal in all directions and are meant to be mounted on the ceiling the center of the space in order to broadcast and receive signal equally in all directions. They should not be used for multiple floors of coverage. Cable is used in all systems to connect the antennas to the signal boosters. 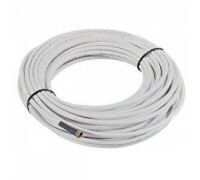 Unfortunately, cables are not perfect and will lose some signal depending on the type, quality, and length of the cable. Ultra Low Loss LMR-400 cable looses 2dB over 50 ft while standard RG6 coax cable (like you use for cable television) loses 5 dB of 50 ft. When possible, you should use the shortest and highest quality cable possible to ensure that a maximum amount of signal is getting from the antennas to the signal booster. 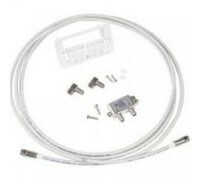 If you have extra cable, it is possible to cut it and add a connector to the new end, but this may require special tools. In generally, always try to buy the correct length of cable while allowing a little extra just in case. Cell phones communicate with cell towers using radio waves and these signals operate on various frequencies. Unfortunately, this means that unless a cell phone signal booster is designed for the frequency you need, it won't boost your signal. For this reason, it's important to understand what frequencies your cell phone typically uses. Most major carriers use one of two frequencies for their 2G and 3G networks. These frequencies, 850 MHz (cellular) and 1900 MHz (PCS), are so common, that signal booster manufacturers started creating "dual-band" amplifiers that were capable of boosting both of these frequencies making them broadly compatible. In the following list, we're going to cover the frequencies used by the major carriers so that you will know what signal booster will work best for you. AT&T's 2G, 3G, and HSPA+ 4G networks all operate on the standard dual-band frequencies so any dual-band amplifier will work. AT&T's 4G LTE network operates on the 700 MHZ frequency on Bands 4 and 17 so if you need AT&T LTE data support, look for an AT&T LTE specific booster. T-Mobile's 2G service operates on the standard dual-band frequencies so any dual-band amplifier will work. Their 3G and 4G HSPA+ service currently runs on the AWS frequencies (1700/2100 MHz) and needs an AWS booster. However, T-Mobile is transitioning their 3G and 4G HSPA+ service to their 1900 MHz band, which is one of the standard dual-bands, so that they can use their AWS band for their new 4G LTE service. MetroPCS runs some 3G over 1900 MHz so a dual-band amplifier would help in that situation. They also use the AWS frequencies (1700/2100 MHz) for some 3G and for their 4G LTE network. If you're not sure which frequency is being used by your phone, try calling their customer service and asking for clarification. Sprint's 2G and 3G services operate on the standard dual-band frequencies so any dual-band amplifier will work. Sprint's 4G service is a mix of WiMax and LTE using different frequencies so if you need 4G support, you'll need to figure out which service you're using and what frequency it uses before proceeding. Try calling Sprint's technical support to find out what technology you're using and what frequency it runs on and then contact our customer service for help selecting a kit that will work for you. Verizon's 2G and 3G networks all operate on the standard dual-band frequencies so any dual-band amplifier will work. Verizon's 4G LTE network operates on the 700 MHZ frequency on Band 13 so if you need Verizon LTE data support, look for a Verizon LTE specific booster.